Hear Bethel's own Griffin Anthony sing his single "Winter Wonderland" and view photos from this event in video above. 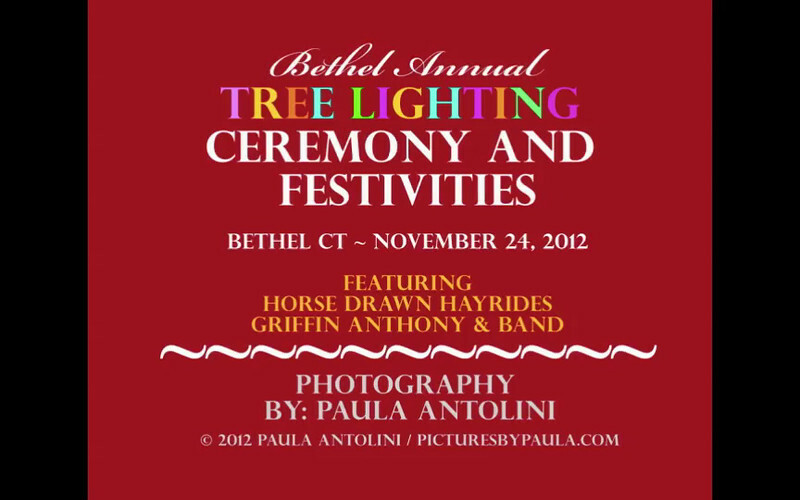 Griffin performed with his band at the Bethel Tree Lighting Ceremony at P. T. Barnum Square on November 24, 2012. See other photos of horse drawn carriage and other activities by clicking "slideshow" on upper right of this page (or by clicking on individual photos).